I am proud to announce that the Big Sky Convection blog has been chosen among the "100 Best Blogs for Earth Science Scholars" according to the BachelorsDegreeOnline.com blog. This started me thinking about how I wish I would have kept an active meteorology blog running as long as I have been online. When my family first got America Online in 1995, I immediately found the "weather chat". I made a few friends through this chat room and began publishing a newsletter which I called the "LepWx&News" (the "Lep" coming from my screen name at the time, Leporinis). This newsletter was sent out to the e-mail address of people I met through the chat and personal contacts. It included personal weather stories, some climatological information, and a few pictures. 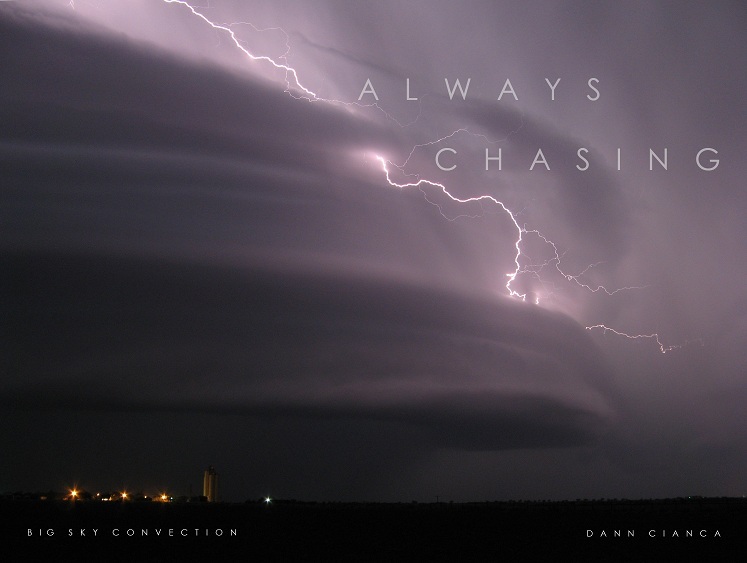 That newsletter eventually went by the wayside and I would occasionally include meteorological discussion in my personal blogs but it wasn't until moving to Colorado that I had the opportunity (mainly due to proximity) to chase storms. Sure, I did that in Montana ... usually driving out to an couple preferred overlooks to experience the storms as they rolled in, but it's different here. Being here in Colorado, I definitely feel more like part of the meteorological community. Going to school and completing my degree in meteorology has helped, but back in Montana, aside from the local TV weatherman, I didn't know a soul who was interested in meteorology. So, with this blog, I'm reaching out, trying to expand my knowledge and opportunities. If I can help one person be more interested in meteorology or just teach someone something, than the purpose is served. I suppose this is a great way to end this year and embark upon a new one. Maybe tomorrow I'll put out a "looking forward to 2009 blog". For right now, I'm on my lunch break at work and have limited time. It was 55ºF when I got home from my trip on Monday night. The temperature remained in the mid to upper 50's until yesterday (Tuesday) afternoon when a cold front of sorts backed into the mountains. The airmass behind it wasn't much colder, so to speak, but it prevented the Chinook winds from keeping the area warm. In fact, we cooled from 59º to the upper 30's before the sun went down. It was ... dramatic. And finally, a little peek into the tropics (which are pretty quiet right now!). 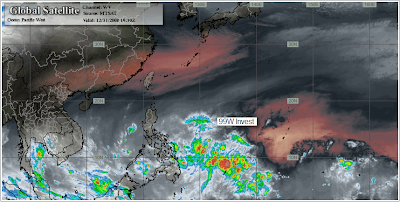 Satellite imagery used with permission; courtesy of IPS Meteostar Inc. Click for larger images. PS: I will try and get some photos from my trip to Montana up soon. Hope you all have a nice New Year! Congrats Dann, nice job and great blog, also to Mike U. and Mr. Carlson, you all do a wonderful job. Adam: Thanks! Ahhh, the good old days. What was your screen name back then? Congrats! you did such a great job.. love to read your blog. Hoobler says name it: "______".